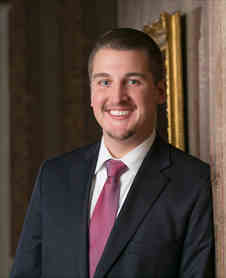 At 29, Jack Clock is the youngest funeral director in our company but he brings a lifetime of industry knowledge because five generations of his family have owned funeral homes in western Michigan. “I like everything about this work,” Jack said. “I like meeting with families, learning about the deceased, and helping families honor their loved ones. I really enjoy the embalming: Sometimes there’s added difficulty and additional skill required. Every day is different; every day is a new day. You never know what’s going to take place. “One of my philosophies is that I don’t want to say ‘no’ to anybody,” Jack said. He described a February funeral for someone who loved Christmas. He put a Christmas tree in the visitation room, played Christmas music and even suggested carolers. A golfer’s funeral featured a golf cart with a piece of sod and golf equipment. A sports enthusiast, Jack’s first bachelor’s degree was in athletic training/sports medicine. 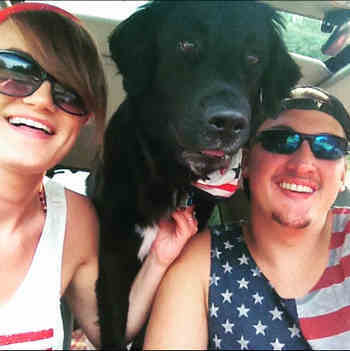 He and his wife, Jessica, had been married for two years and were living in west Michigan when he decided to get a degree in mortuary science at Wayne State University in Detroit. She remained behind with their dog, Wrigley, named, yes, for the Chicago ballpark. “Wrigley was my wife’s rock,” Jack said. “He was a calming presence in our lives when everything was going crazy.” They now have a two-year-old daughter, Hazel with another child on the way. In addition to being a licensed Funeral Director Jack is also a Certified Cremation Operator. In Michigan, funeral homes can’t also own crematories but families – and our own staff – value Jack’s expertise. He contributes to the overall level of knowledge and commitment you’ll find with our entire staff.